Juggaar - Hack your life: How a space saving computer geek book shelf would look like? 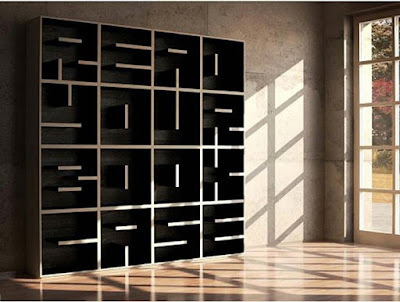 How a space saving computer geek book shelf would look like? Space hacky and computer geek book shelf.